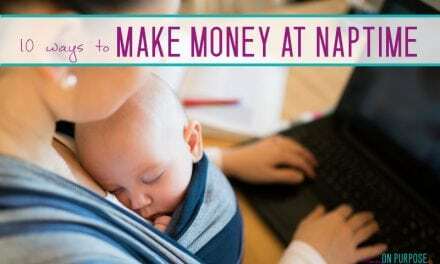 I know I’m not the only parent who has wondered how to save money while raising a family! 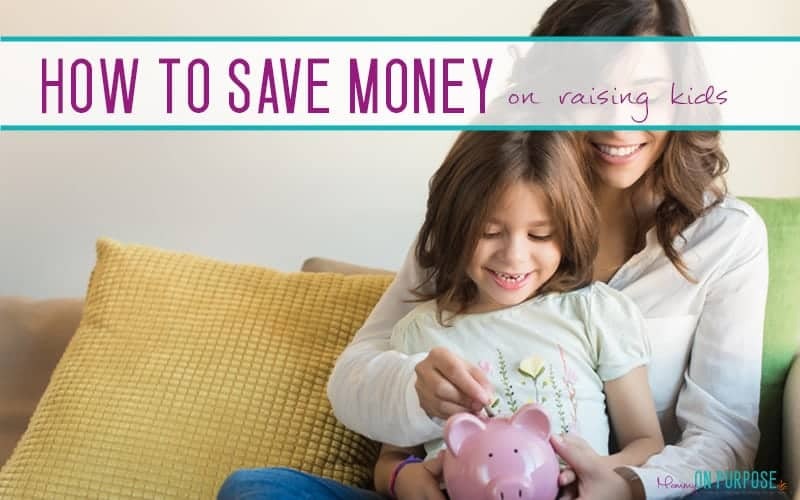 So, how to save money raising kids? 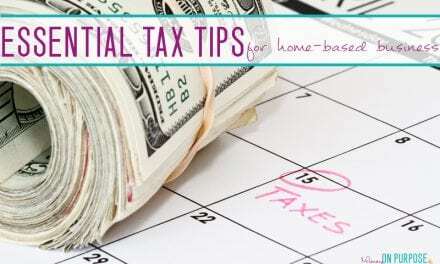 Just consider these five things to save thousands! I wrote about how to save money while preparing for a baby when I was expecting our first kiddo – and (not to toot my own horn or anything) I was totally right when I said that raising kids DOESN’T have to cost you nearly as much as you think it does – OR nearly as much as the “average” family spends. Of course, now that I am ACTIVELY raising kids, I’ve learned even more about saving money on the cost of kids than I thought I knew back then. This first thing is something I am PASSIONATE about. My friend from Caroline (from carolinevencil.com) recently shared with me an experience she had at the doctors office where she was chatting with a woman, and mentioned that she bought second hand clothes for her kids… and this woman JUDGED her! I can not imagine what kind of money you need to be making, (or what kind of mindset you need to have) to think that dressing your kids in second hand clothes is ANYTHING but the freaking best idea ever. Allow me to get up on my soapbox for a moment here. At the rate my kids grow, I literally can not keep them in clothes. It feels like I just finally get to the store and buy jammies that fit and within a few weeks their tiny toes are squished up in the feet again. And don’t even get me started on jeans. They’re too short overnight. It’s terrifying, when you consider that one pair of decent jeans – even just from walmart – is at least 10$ and nice ones from carters are 30$. All that aside, can we talk about how much WASTE exists because of purchasing new clothing? These jammies and jeans that only fit my babes for 3 months tops – they are NOT worn out when the kids are out of them. No where near worn out! They’re in new condition for the most part. I dress my babies in second hand clothes, and they never look shabby. There’s so much kids clothing available second hand that I don’t NEED to ever settle for them wearing shabby stuff. If buying second hand clothes to save money on the cost of kids is the ONLY thing from this list you ever do, that alone will save you thousands over the course of 10 or more years. And the more kids you have, the less you’ll bring home if you’re paying someone to watch them. Once we factored in gas for the car to get me to work, and – let’s be honest – the coffee or lunch I often buy when I’m out of the house on top of childcare costs, I would be working to put less than $1000/month into our bank account. Think about that. 40 hours per week, PLUS time going to and from work, away from my children… for less than $1000. We live in an expensive area, and it’s hard to do life on one income. We need that $1000/month, even if it is sad. So I’m not saying I believe everyone can just choose to be a one income family. But there are ways to skip (or at least reduce) the cost of childcare, if you’re creative. You can see if you and your spouse can get alternating schedules, or even see if you and friend can get alternating schedules (and then trade watching each others kids). Maybe you have family that would like to watch your kids one day per week, and that would at least reduce the cost SOMEWHAT. 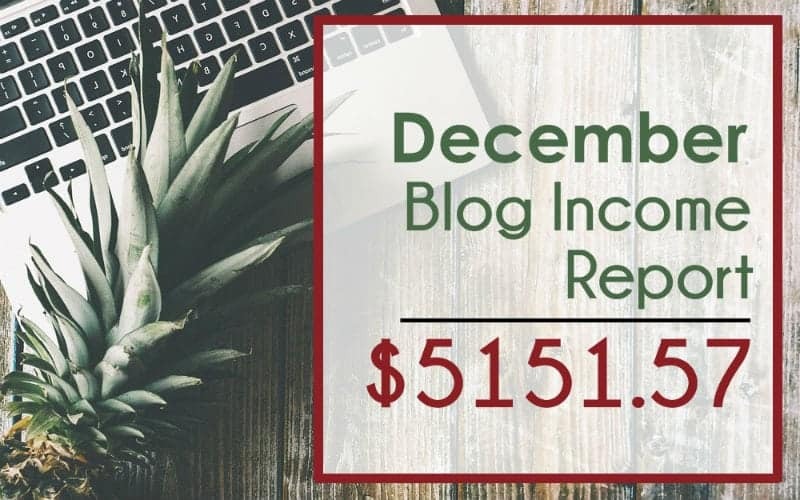 The solution for us was to find a way for me to make that $1000 from home (and so this blog was born, and it makes FAR more than I “need” to make to stay at home!) 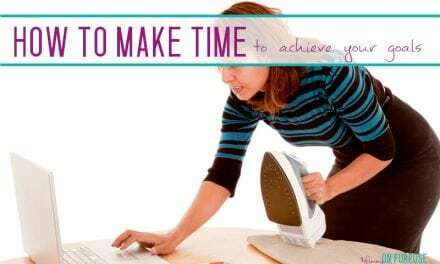 There are LOADS of great stay at home mom jobs that anyone can do! Of all the “stuff” we spend on, I find groceries are the EASIEST to OVER spend on. It’s just so easy to justify a big grocery bill – after all, food is necessary! And the more people we’re shopping for, the more we tend to over spend. Focusing on whole and unprocessed foods (fruits, veggies, meat etc) is cheaper than buying pre-made things, generally, and healthier too. If you like to have “junk food” type treats on hand for your kids, you can always make and freeze cookies, oatmeal bars, and popsicles instead of buying them. “They found that youngsters were far more creative when they had fewer toys to play with. They also played with each for twice as long, thinking up more uses for each toy and lengthening and expanding their games. Limiting toys – not feeling like you need to spend $300 at Christmas or $150 on a birthday, will save you thousands in your child’s lifetime. You are not “depriving” your children if you don’t put them in every sport or every club. They will still learn to be social, to be good losers, to be active, even if they take part in fewer things. They will also learn to be intentional with their choices. You can find lots of free “fun” teams to join, in place of the more expensive organized things as well if you just look. Or START a free fun team. Believe me, you aren’t the only mom out there who doesn’t have an extra $150 for baseball. This rule will ALSO be great for your family as a whole – less running around makes for less stressed mom and dad and more available time for family bonding. Play a board game or sit around a bonfire on Saturday night instead of rushing to dance recital. Make it clear to your children from a young age that sometimes we can’t DO everything we want to do, but we can still have a great life. 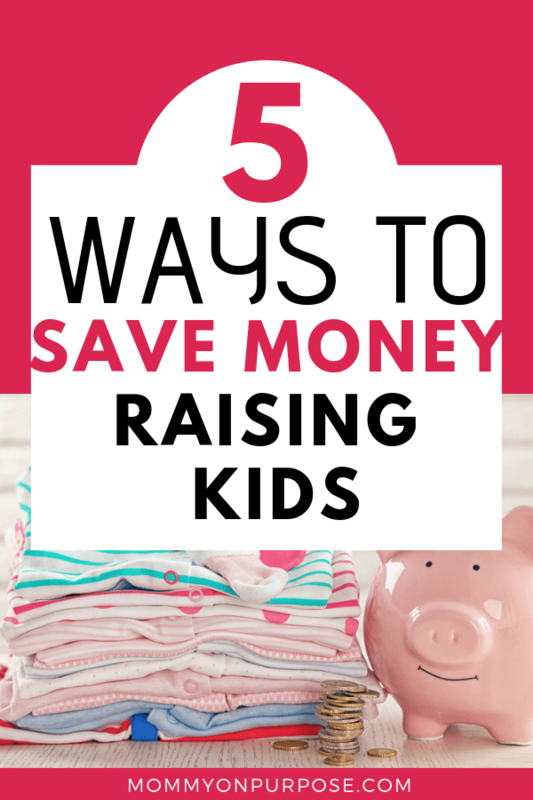 How do you save money raising kids? 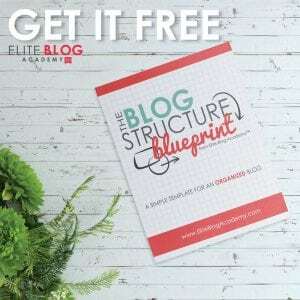 PreviousAre You Failing At Affiliate Marketing as a Blogger? NextWays to Pump More Breast Milk – 6 Things to Try Now! I really agree with the extra curricular thing. I have four children so I put a two-sport rule on them saying they could not engage in more than two sports per year. My oldest played three for a couple of years when we had two incomes. But now all of my children only play one. It’s still a hefty expense. My oldest girl’s softball season typically runs me close to $1.5k between travel and purchases for a five month season. I also keep a cooler in the back of my truck from April-September stocked full of beverages. This way when I stop to gas up, the kids can’t gouge me for drinks at the gas station that cost nearly 400% more than the grocery store. Case of water at the store $4.99 for 36 bottles. Single bottle at the store, no less than .99. Stuff like this adds up fast. The toy thing is so true. In a room full of toys, my kids always end up playing with the kitchen pots and pans anyway! These are so true! I really struggle with knowing how many toys is healthy! I always feel like if I’m bored with my sons toys, then he must be too. Or I feel like he’s grown out of them and need more toys to suit his development. It’s so hard to find a balance, isn’t t? It amazes me sometimes to find out how much some people spend on stuff for their kids. My girls have always been given hand-me downs from older kids in the family. I think I’ve personally bought my older daughter maybe 5 outfits in total in her almost 6 years after being born. And I totally hear you on the child care, my mom used to run a home daycare when I was little. My husband never minded being a stay at home dad while I worked (and for the past year it’s been my turn to be the stay at home parent). Being a bit of a health nut I love the meal planning tip, and love to meal prep to make sure food doesn’t go to waste. I may go to the extremes with saving money on food by even buying dried beans and rice, making my own bread, and buying mostly fruits and veggies to make meals out of. (All for my husband to ruin my attempt at saving money by his eating out during work…) So, I agree, it’s not the kids, or having more people to feed that costs more money. Our children have developed a YouTube video series on financial literacy. I’m not going to drop the links to their video in the comments but if you’re interested…go to YouTube and Search: “Our Rich Journey”. You will see the Money Minute videos our girls (9 and 11) have uploaded. The videos are only one minute and provide an explanation of an investing concept. These Money Minute video would be great summer learning for kids. Meal planning is the life saviour. I always plan my meals in advance and try to cook them at home only except holidays. It save lot of money. Another major expense… school pictures. I stopped falling for them. I know it sounds mean but the companies who do school pics know how to scam their way into your wallet by way of their “packages”. They know most parents will ultimately purchase every pose and those packages can run around $100 each, twice a year! We were spending $600 per school year on pictures. A good alternative is to schedule your own photo shoot at least once a year either with a private photographer or at a department store (Groupon usually has deals for that). A word about private photographers, they’re not cheap. However, you could search for a student photog at a local college. 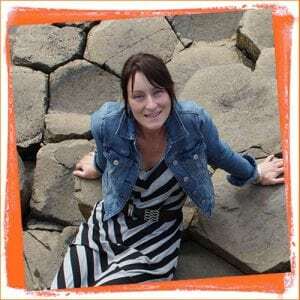 Ultimately, if you decide to go with a professional photographer, even though they are not cheap, you still get way more bang for your buck and more control over the outcome of the images. I agree – it’s so expensive! I think people will always pay for convenience, but it’s definitely not going to give you the best results!